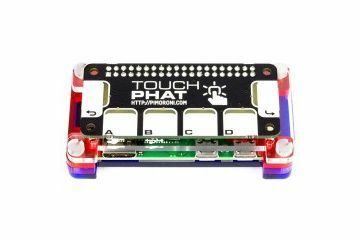 Touch pHAT has six capacitive touch buttons, each with a bright white LED, designed to be completely agnostic about what they're used for. You can even use a dry erase pen to write on the pads to label their function. 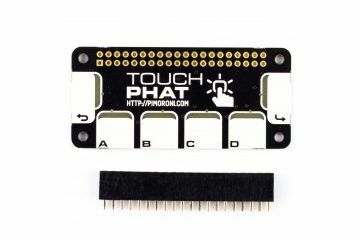 It uses the CAP1166 capacitive touch and LED driver chip. The LEDs have been under-mounted and shine through exposed sections of the PCB to give a pleasing yellow-green glow and a completely smooth top surface! Use Touch pHAT as a controller for your robot, a controller for your Mote lights, a tiny drum machine, or use it to build a simple game where you have to taps the buttons to repeat the sequence of lights that just flashed. 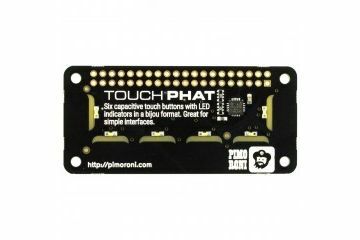 The MagPi gave Touch pHAT a four star review and said that it "makes it a lot easier to add input buttons to projects". 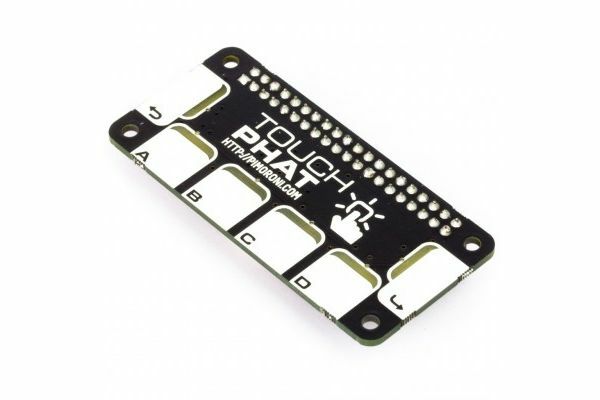 Pimoroni handy one-line installer will install the Touch pHAT Python library for you. Pimoroni has included a couple of examples too, to show off what you can do with Touch pHAT.